Note: This article originally appeared on the author’s blog. 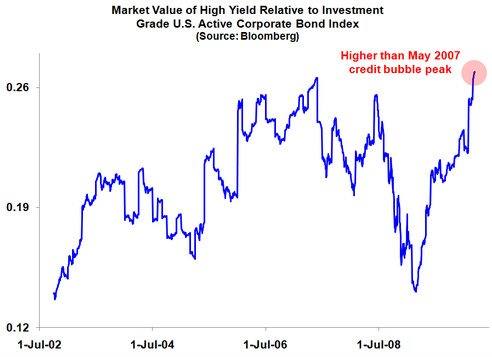 The market value of the high yield FINRA-BLP Active U.S. Corporate Bond Index relative to its investment grade counterpart has now exceeded the level seen in May 2007, at the peak of the credit bubble. If you ask me, it looks like risk-taking is back with a vengeance.